An entrance interview with the school Principal to discuss individual student needs and to answer questions (both ways). Depending on the age of applicant, the entrance interview may include an activity based test to provide comparisons within and across his or her cognitive abilities and application of skills. Submission of duly filled Nordic International School Lahore admission form, along with the correct documents and information. Submission of school admission fee and the security bond. Our school is a project owned by the Swedish education company called NordicEd. We offer an international curriculum delivered through authentic learning and assessment. In addition to this, we partner with our sister schools around the world to collaborate and promote exchange programmes. We also have a blend of team members from the UK, Sweden, Australia etc. What grades are being offered as of now? The programmes that we offer at Nordic are Early Years, Primary and Lower Secondary. Hence, we enroll students from the age of two until the age of twelve. Which curricula do you offer? We offer the UK-Based International Early Years Curriculum (IEYC), International Primary Curriculum (IPC), International Middle Years Curriculum (IMYC), Cambridge English and Mathematics and Local Languages and Culture studies (Urdu, Pakistan Studies and Islamiyat). 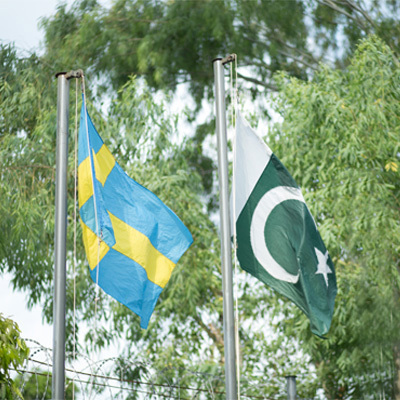 We are the first Swedish International School in Pakistan that offers true international collaboration with our students and colleagues coming from overseas. We have a state-of-the-art purpose built campus with small class sizes for personal student attention. We also have senior leadership team on board from the United Kingdom and Sweden. What are the school’s long term plans? It is our ambition to open further schools in Lahore as well as Karachi and Islamabad. What is the school admission criterion? There are no entrance examinations/tests. Both parents and children will be interviewed by the Head of Early Years and Primary, and by the Principal. What is the required admission age for Early Years? Children must be two by August 31st to enter our Early Years class, three by August 31st to enter our Early Years 1 class and four by August 31st to enter our Early Years 2 class. How do I get an appointment to meet the Principal? Please call on our landline number (042) 111-667-342 to book an appointment with our team. What is class size at your school? We offer a low student-teacher ratio by trying to ensure the average class size is of no more than twenty students. Nordic International School structure uniquely combines a full-time classroom teacher, who leads core curriculum areas, supported by specialist teachers and teaching assistants that enrich student’s academic and creative learning experience. When does an academic session start? A new term for an academic year commences in September and ends in June. Please visit the school office to enquire about the fee for your child’s year group. How will I know what’s happening in my child’s classroom and in the school? We value timely communication with parents and how this effective partnership benefits our students. Nordic International School uses 21st Century communication tool called ClassDojo (interactive mobile & computer application) to keep parents updated. The application gives parents access to learning activities, photographs, their children’s performance and school based information. Teachers post weekly newsletter to parents via email and ClassDojo. The application also has a messaging portal that parents can use to keep regular contact with the school. Apart from this, formal written reports are provided to parents twice each academic year. Open days and other opportunities for parents to see the working school are arranged routinely. Is there an on-campus health service? We have a school nurse available during school hours who deals with routine matters. Parents are advised of any concerns.